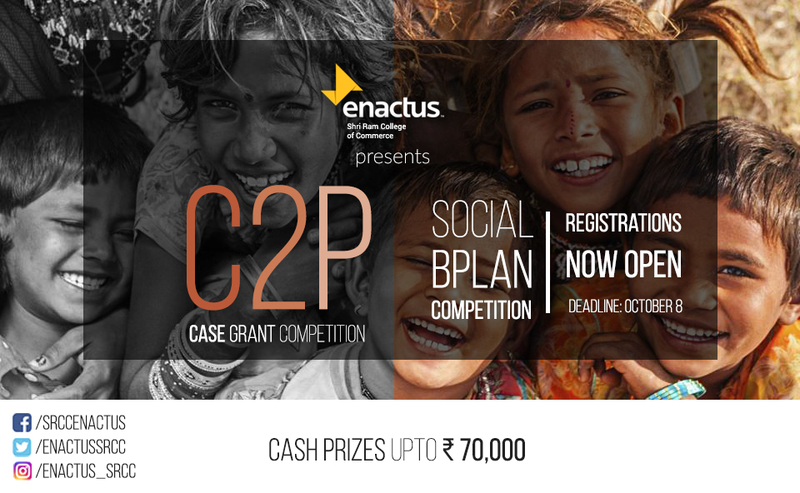 Enactus SRCC, in collaboration with Campus Community Partnership Foundation, is hosting C.A.S.E. Grant Competition 2017 which is a social B-Plan Competition. The winning three teams will receive cash prizes upto Rs.70,000 and possible collaborations with media houses and other organisations. The Registration link is enactussrcc.org/c2p. The deadline for this is 8th October 2017. 10 teams will be shortlisted for the on-campus event at SRCC which will be held on 28th October, 2017.